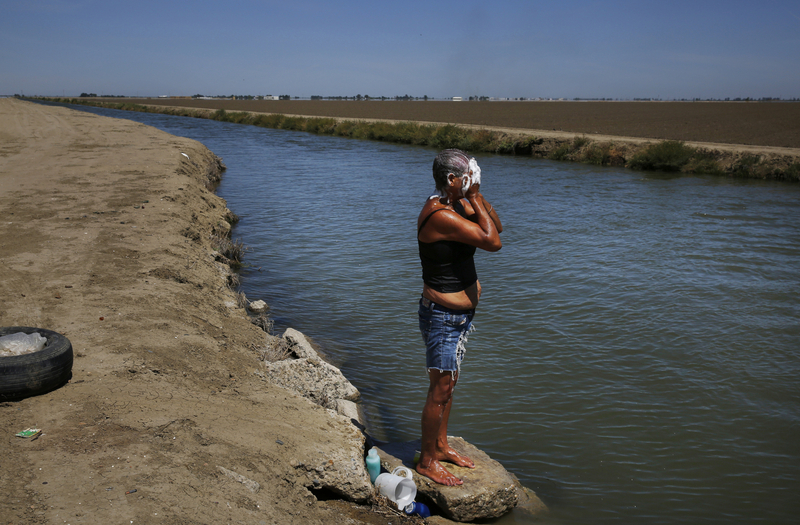 Sandoval washes her face and hair in the nearby irrigation canal. The canal is the only source of water for the shantytown residents if they want to bathe, cool down, or wash their clothing. They have to buy water from a nearby store in town for drinking and cooking.